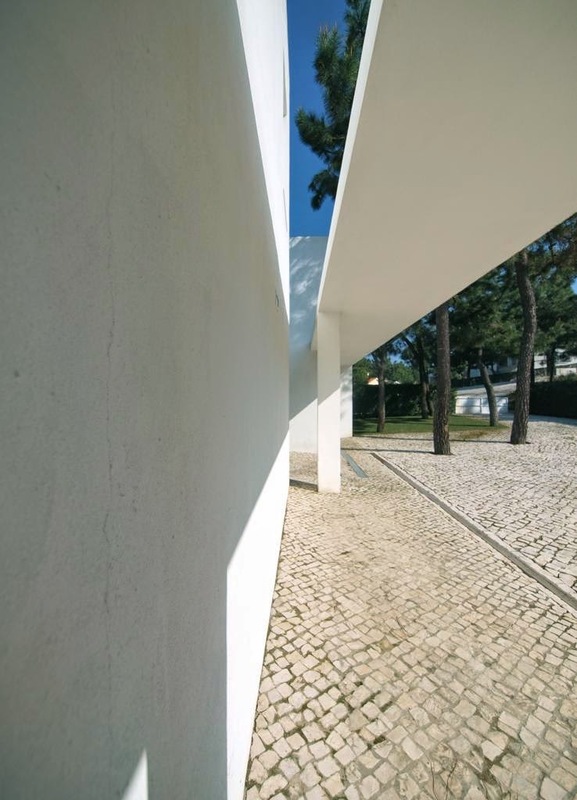 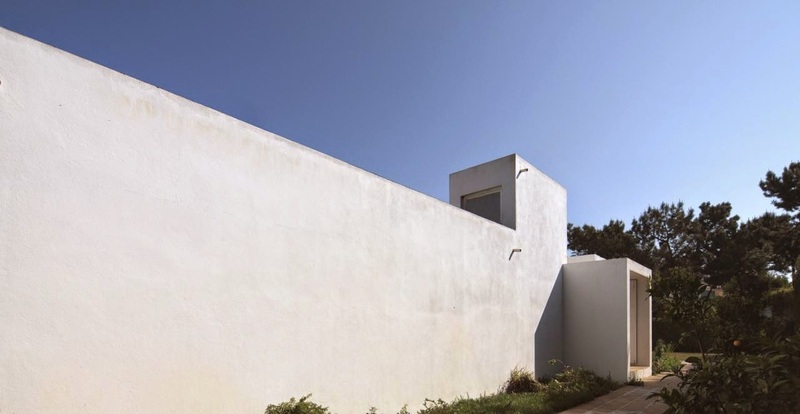 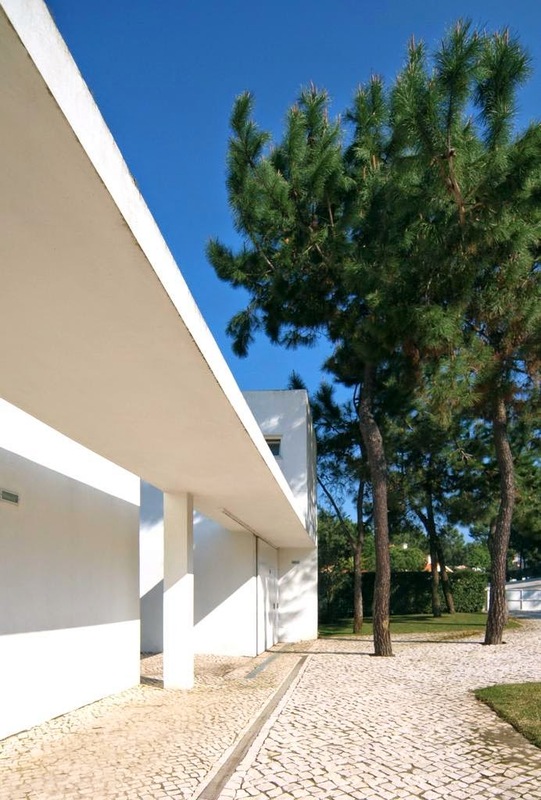 Located on the Tróia peninsular, in Portugal, this minimalist house by Jorge Mealha Arquitecto is a synthesis of cubic volumes around a terrace. 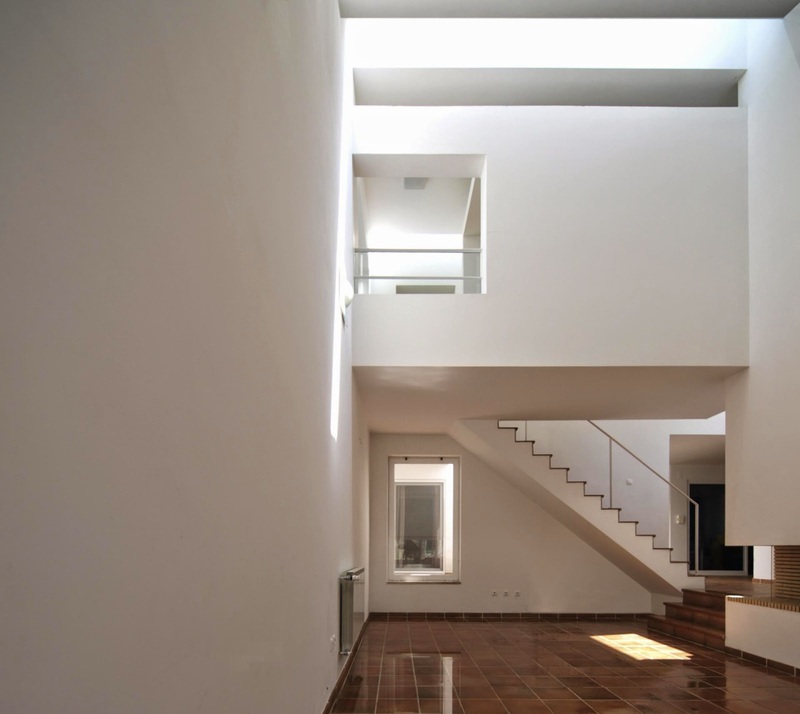 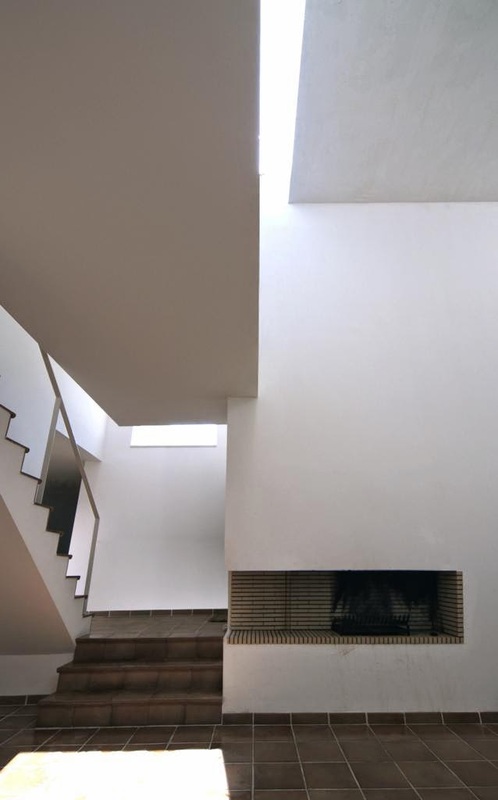 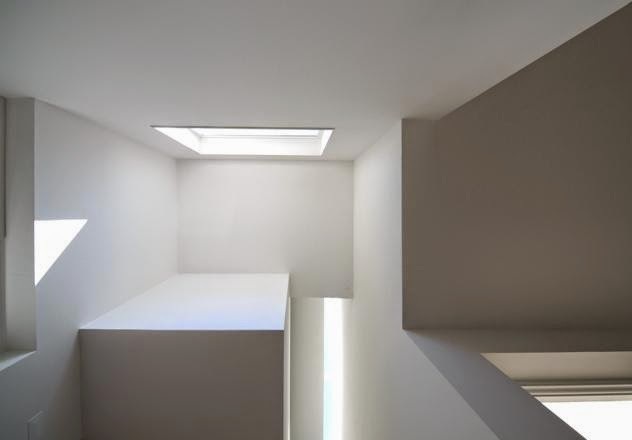 A series of interlocking solids and voids, blocks and patios, skylights that fill the all-white interiors with daylight and frameless doors, rendered in plaster, same as the walls, emphasize the restricted palette of materials, forms and textures used. 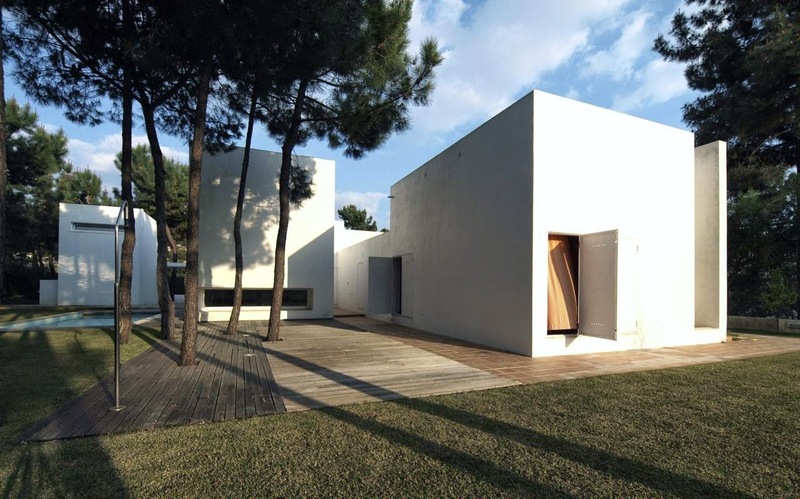 For the surrounding ground, a Set of virtually blank solids perform a dialectically tensioned play, searching, through scale and accentuation on the surfaces edges outlines, the emphasis on the light/shadow interplay, proposing an ever changing reading throughout the day. 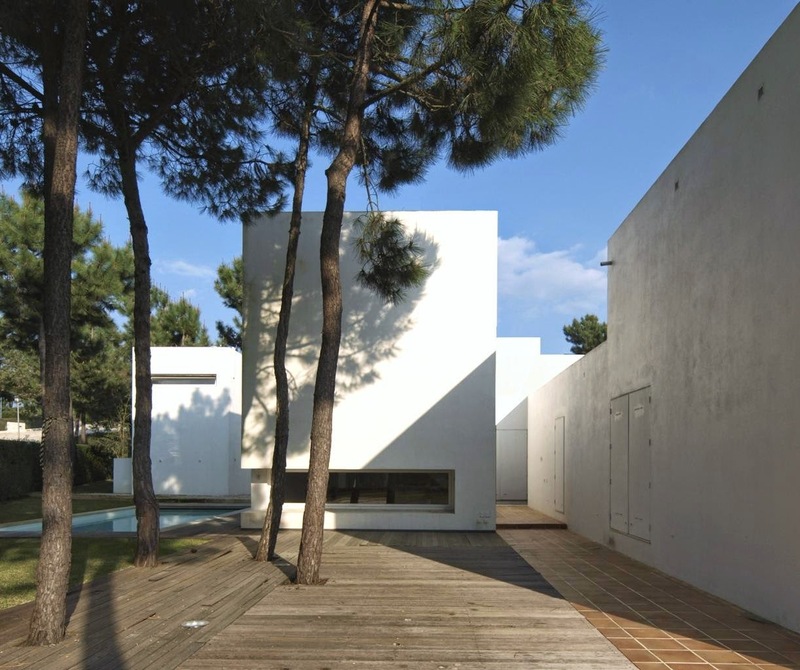 The outline and voiding of the mass proposes an articulation of solids and wall surrounded patios, succeeding each other in the organization of a rhythmic sequence of a fluid program. 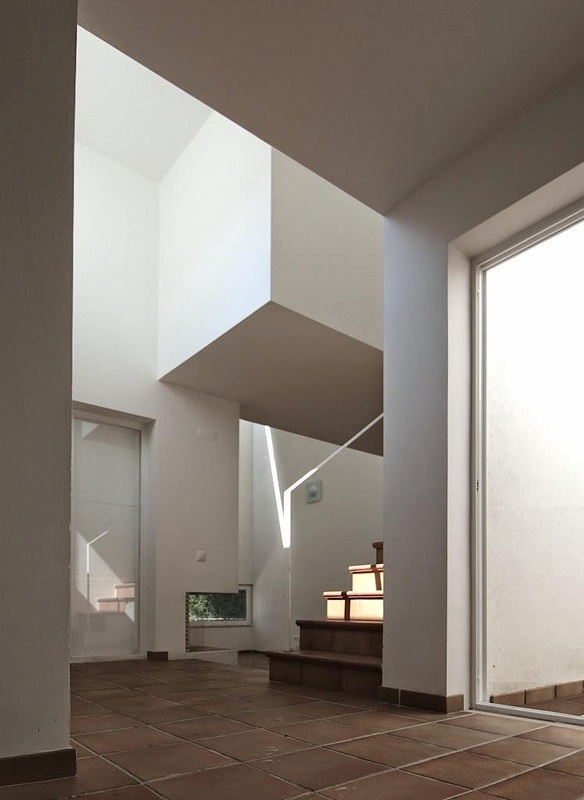 The openings either of limited dimensions or placed in the interstitial spaces, in between the various solids, allow, in a quite controlled way, the fruition of chosen frames. 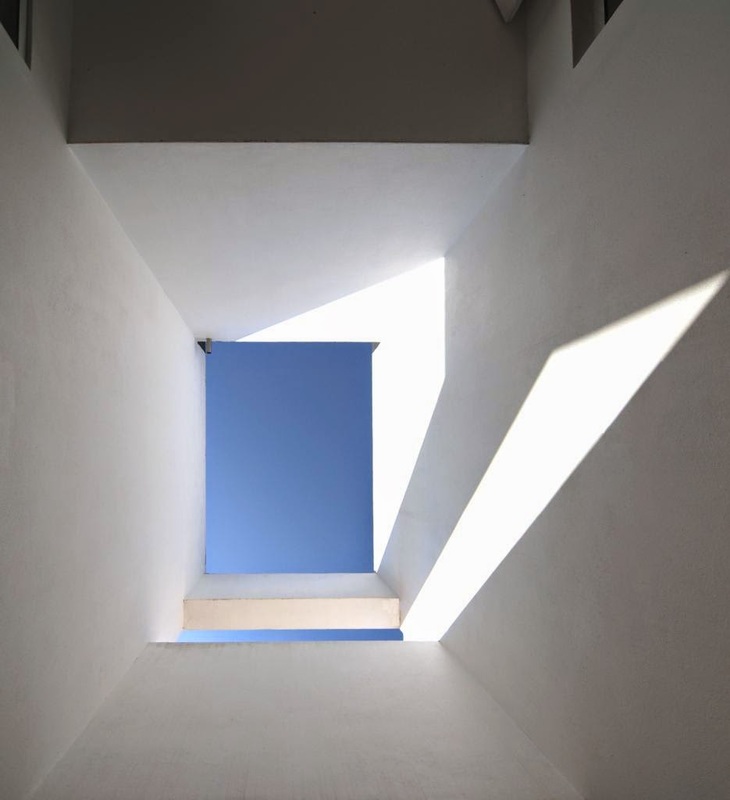 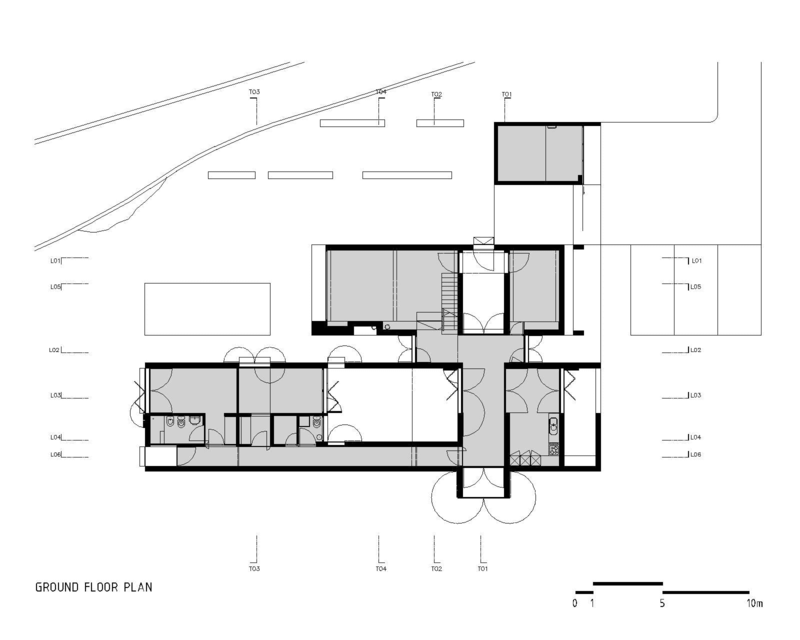 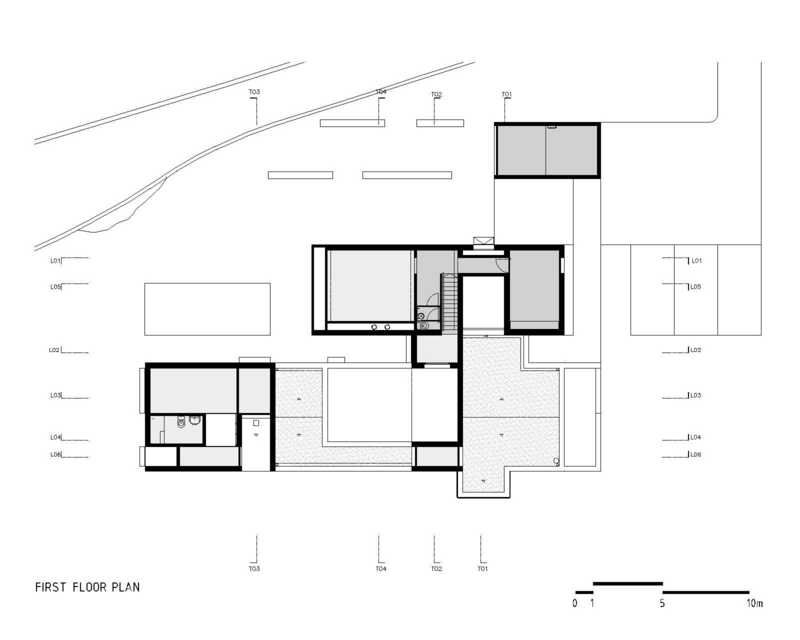 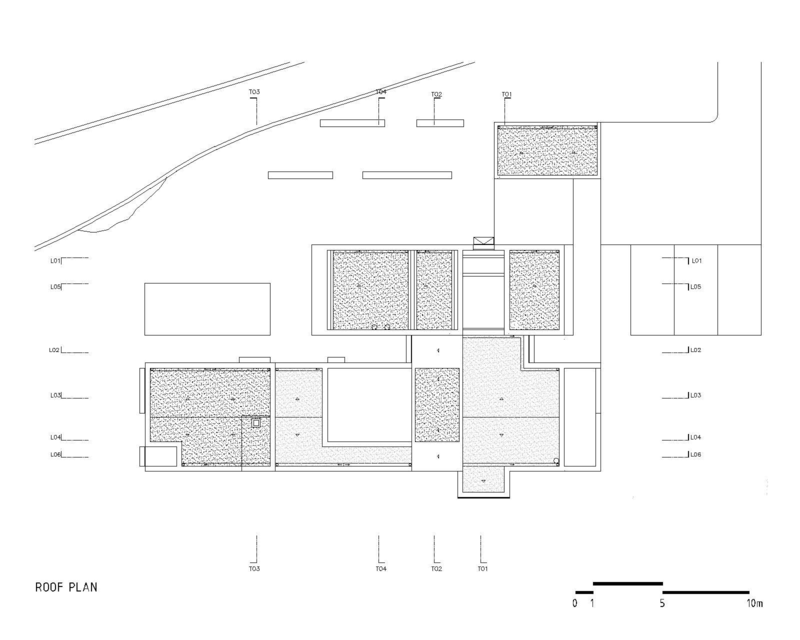 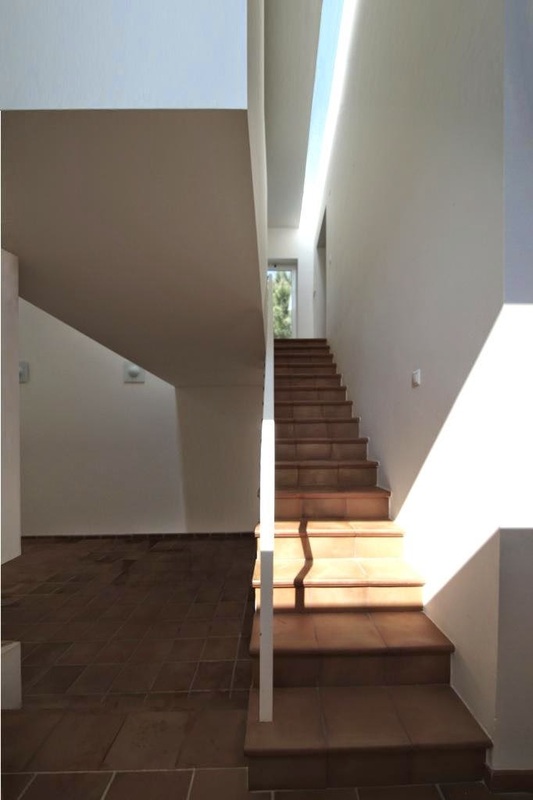 The scale, the openings and the skylights, become instruments for light capture and redirection, either diffused or of a direct nature, drawing and sprinkling with light the interior planes throughout the daylight cycle. 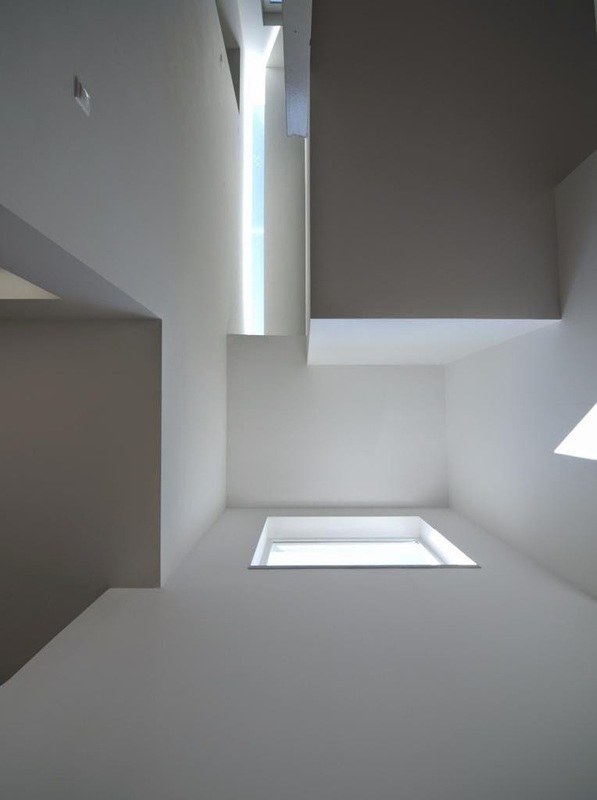 between the various solids, voids and outlines, create the spatial identity structure of the house. 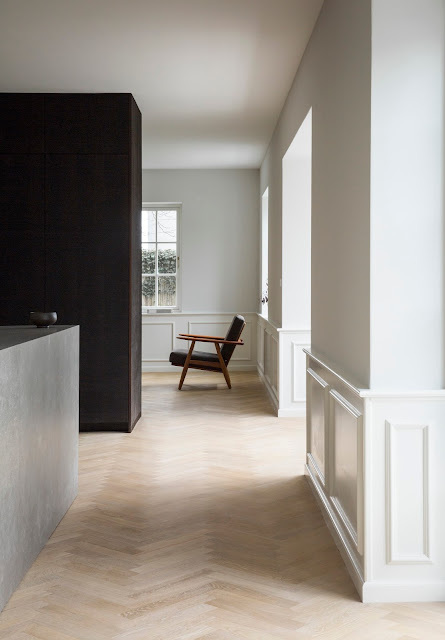 With plastered blank shutters, in the same finishing as the coating of the outside walls, when shut, lead to virtually blank solids, in the pursuit of a clear reading of the format. 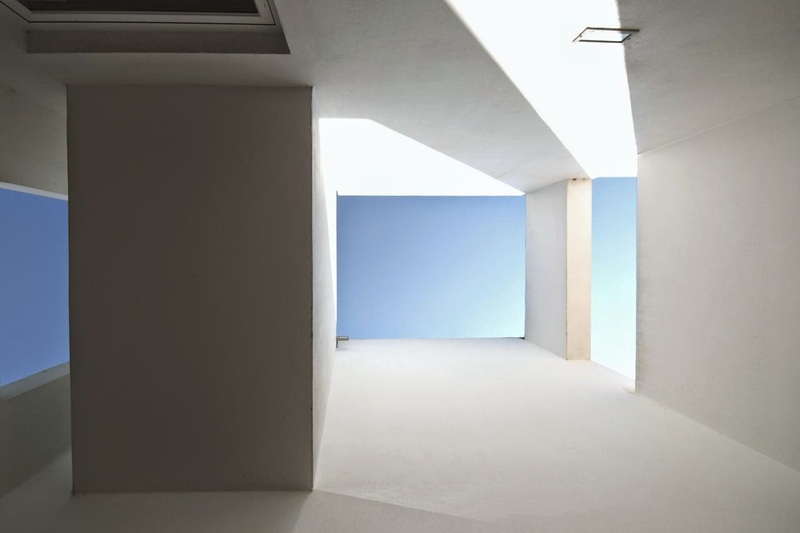 contained elements inter-relations plays with the observer's capacity and interest in the decoding of space and shape design.